← When Can Episcopalians Receive the Eucharist at a Catholic Mass? Q: I would like to know if my children and I (Roman Catholics) meet our Sunday obligation at an Orthodox Divine Liturgy? Canon law seems to reference meeting the obligation “anywhere a Catholic rite is offered.” Therefore, strictly speaking, I would imagine the answer is yes. A: In “When Can Episcopalians Receive the Eucharist at a Catholic Mass?” we talked about non-Catholics attending Mass and receiving Catholic sacraments. Natalie’s question involves the opposite: can Catholics attend a non-Catholic, Orthodox liturgy on Sunday instead of a Catholic Mass? And while we’re on the subject, could Catholics receive the Eucharist there too? Natalie is citing canon 1248.1, which states that the requirement to attend Mass on Sundays and holydays of obligation is satisfied by assisting at Mass wherever it is celebrated in a Catholic rite. (By the way, holydays are not the same in every country—see “Holydays of Obligation” for more on this.) But she is making an incorrect leap of logic by assuming that the liturgical celebrations in Orthodox parishes constitute “Catholic rites.” Here’s why. As we saw in “Why is a Catholic Permitted to Marry in an Orthodox Ceremony?” the Catholic Church recognizes the validity of the sacraments administered to Orthodox faithful by Orthodox clerics—because it holds that the Orthodox clergy, unlike the clergy of the various protestant denominations, are validly ordained priests. The Orthodox Churches (such as the Greek, Russian, and Romanian Orthodox, to name only a few) are officially in a state of schism vis-a-vis the Catholic Church (cf. c. 751), because for nearly 1000 years, the Orthodox have refused to recognize the primacy of the Bishop of Rome over the universal Church. Why does this matter? Well, when canon 1248.1 mentions the need for Catholics to attend Sunday Mass anywhere in a Catholic rite, this phrase is not intended to include Sunday liturgy at an Orthodox parish church. Yes, the Catholic Church holds that such a liturgical celebration is really a valid Mass; but it isn’t a Catholic Mass. Consequently, Catholics are not permitted to attend an Orthodox church on Sunday instead of going to a Catholic one, as this does not satisfy the regular Sunday obligation. It may sound strange, but it’s important to keep in mind that just because a Mass is valid, that doesn’t necessarily mean Catholics should attend it. Imagine, for example, that a Catholic priest who has been laicized celebrates a Mass. As one who has been validly ordained, such a priest always retains the power to say Mass validly—but if he has returned to the lay state (as discussed in “Catholic Priests Who Become Non-Catholic Ministers” and also “Can a Bishop Forbid a Priest to Say Mass?”), his hierarchical superiors have forbade him to do so. Any Mass he were to celebrate would therefore be illicit, and the Catholic faithful definitely should avoid it. Similarly, around the world there are clergy who may have validly received the sacrament of Holy Orders, but for whatever reason are in some irregular canonical situation—the clergy of the Society of St. Pius X come to mind. Again, and as per “Are SSPX Sacraments Valid? Part I,” the priests of the SSPX are validly ordained and thus always possess the sacramental power to celebrate valid Masses—but the faithful should not attend them, and such attendance does not fulfill one’s Sunday obligation. Here’s what the phrase “anywhere in a Catholic rite” in canon 1248.1 does mean. As was discussed in detail in “Are They Really Catholic? Part I,” in various parts of the world there are many Catholics who are not Roman Catholics, and who celebrate Mass and the sacraments using ceremonies which externally can look very different from what a Roman (or Latin-rite) Catholic is used to seeing. As a general rule, these non-Latin Catholic Churches came into existence in previous centuries, when individual groups of Orthodox clergy and faithful chose to end their schism and return to full communion with Rome. They still retain their own rituals; but their clergy are truly Catholic priests and their sacraments are all Catholic, fully valid and licit. Accordingly, a Latin-rite Catholic can attend Sunday liturgy in a Catholic parish that uses a different rite (such as the Byzantine rite Natalie mentions), and this fulfills his Sunday obligation to attend Mass. He can also, for that matter, go to confession and receive the Eucharist there if he so chooses. Similarly, a member of (let’s say) the Ukrainian Greek Catholic Church can always attend Mass at a Latin-rite parish, and receive the sacraments there as well. So does this mean that Catholics can never attend Orthodox liturgy and have it “count” as Sunday Mass, and can never receive any of the sacraments in an Orthodox parish church? Not so fast. There are specific, out-of-the-ordinary situations in which this may take place—and these are addressed in canon 844.2. 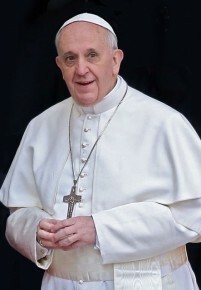 A Catholic may lawfully receive the sacraments of penance, the Eucharist, and anointing of the sick from non-Catholic ministers in whose Churches these sacraments are valid, if (1) it is impossible for the Catholic to approach a Catholic cleric for these sacraments; (2) the danger of error or indifferentism is avoided; and (3) there is a genuine necessity or spiritual advantage to be gained from it. Natalie’s situation fails every one of these conditions. For starters, she indicates that she wants to go to the Orthodox liturgy because she “feels led” to it—not because she can’t get to a Catholic parish for Mass and the sacraments. Secondly, it seems pretty clear that through genuine confusion, Natalie is falling into the very trap of indifferentism mentioned by the canon; she erroneously believes that frequenting an Orthodox parish is equivalent to frequenting a Catholic one—and it’s not. Finally, Natalie doesn’t indicate any particular need to attend an Orthodox church in lieu of a Catholic parish. Apart from her personal preference, there is no sign of any substantive reason why she and her children would have to do this. Such reasons really do arise sometimes: imagine that some Catholics backpacking through the Greek countryside discover that the town they reach on Sunday has only an Orthodox parish church—so they may reasonably conclude that attending the Sunday liturgy there is better than doing nothing at all. Or perhaps a Catholic layman is living/working for months at a time in rural Bulgaria, and there is no Catholic parish or priest for miles around. If such a Catholic were to sin grievously and then want to receive absolution in the sacrament of penance, his only option might be to confess his sin(s) to a local Bulgarian Orthodox priest. Canon 844.5 references the fact that the bishops’ conference of a given region may, if appropriate, establish very general norms to give guidance to the faithful on such matters (see “Are Catholics Supposed to Abstain from Meat Every Friday?” for more on what a bishops’ conference is). But the same paragraph also brings up an important point which Catholics cannot forget: even if we Catholics are permitted to receive certain sacraments from the Orthodox in specific circumstances, it’s very wrong to assume that they are automatically willing to administer them to us! It’s critical not to lose sight of the two-way nature of this ecumenical scenario. Some Orthodox Churches may be fine with Catholics receiving the sacraments from their clergy; others may not. Regardless, Catholics do not have a right to demand spiritual assistance from Orthodox priests, who obviously have dedicated their lives to ministering to the Orthodox faithful—not to Catholics who come to them in a jam. To return to Natalie’s question, it appears that while she says she feels “led to Orthodoxy,” she may in fact be attracted not so much to a Church in schism, as to the beauty of the eastern liturgical rites themselves. After all, she says she would regularly attend the Byzantine Catholic liturgy on Sundays if only it weren’t so far away! 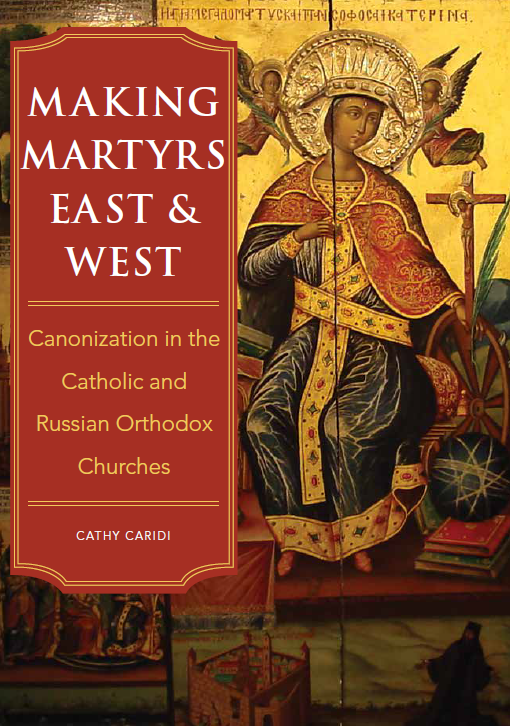 Since the external rituals found in both Orthodox and eastern-rite Catholic parishes are so similar, confusion on this critical issue is understandable—but it’s imperative that Catholics understand and appreciate the difference. Joining an Orthodox parish means walking away from the Catholic Church and entering into a state of schism. Catholics can certainly attend their liturgy, but it does not satisfy one’s Sunday obligation, except perhaps in extremely unusual circumstances—and receiving the sacraments there would require circumstances even rarer still. This entry was posted in Canonical Issues Involving Non-Catholics, Holy Mass, The Eucharist and tagged canon law, Catholic, eucharist, Mass, Orthodox. Bookmark the permalink.